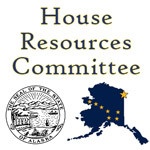 Juneau – The Co-chairs of the House Resources Committee, Reps. Andy Josephson (D-Anchorage) and Geran Tarr (D-Anchorage), have filed legislation to respond to climate change in Alaska. House Bill 173 would create a new commission made up of elected city and borough officials from across Alaska and several state department commissioners. A primary duty of the Climate Change Response Commission would be to assist rural communities and non-government organizations to secure funding to mitigate the negative impacts of climate change. The Commission would also be tasked with seeking out grants and other forms of financing. Since 2013 the federal government has spent around $38 billion on climate change research and response. Global climate change financing is estimated at around $392 billion a year. Besides seeking funding, the Climate Change Response Commission would also monitor climate change in Alaska, coordinate with the University of Alaska, advance green technology, and seek ways to reduce greenhouse gas emission in both the public and private sectors. The Climate Change Response Commission would be funded by a one cent surcharge on every barrel of oil produced in Alaska, just like the funding mechanism for the Spill Prevention and Response Fund (SPAR). That fund has taken in $12 million a year for the last four years. Similar to the SPAR fund, the Climate Change Response Fund will have a limit of $50 million after which the surcharge will not be collected. HB 173 was officially introduced this morning and referred to the State Affairs, Resources, and Finance Committees.